"The M1911A1 pistol was once the standard sidearm for U.S. armed forces. Rogers says a little over 8,000 of the 100,000 pistols were sold to law enforcement and transferred to foreign countries for a small price. The rest are in storage. The CMP will inspect, grade, and prepare the pistols to be sold. It will also reimburse the Army for any costs associated with moving the firearms." ETA: Also, don't worry, they won't be used for service competition, or teaching youth how to shoot, etc. But my guess is they will line the tables at gunshows and the safes of lots of old men. Cool, I would buy 1. CMP really has a great thing going on the M1, and I took advantage of the low price and great selection. On these 1911's, I don't think they will be anywhere near a price I can afford. I would buy one, definitely. I'll buy a couple if the price is right. Whats the timeline for this? These are probably barely service grade weapons. Even if they are "New Old Stock" they are standard GI grade pistols. Other than some nostalgia and old school US machining, these aren't that much different than the RIA's. If they were so great why would there be entire industries around making them better? would they qualify for C&R or not? Standard rules for ordering firearms from CMP would apply, I suppose. C&R covers one of the requirements. Once on the secondary market, sure, since these will likely all be WWII-production and earlier. I had one in 1988 in Korea. It was a rattletrap. Shot out. Not accurate. But it was a WWII Colt . . .
And a 1909 S vdb cent is just another penny that spends the same way. There were 3.5 million M1 Garands made. Not all survived the war or returned to the US, but the CMP has sold many, with more flooding the shelves as they are assembled. 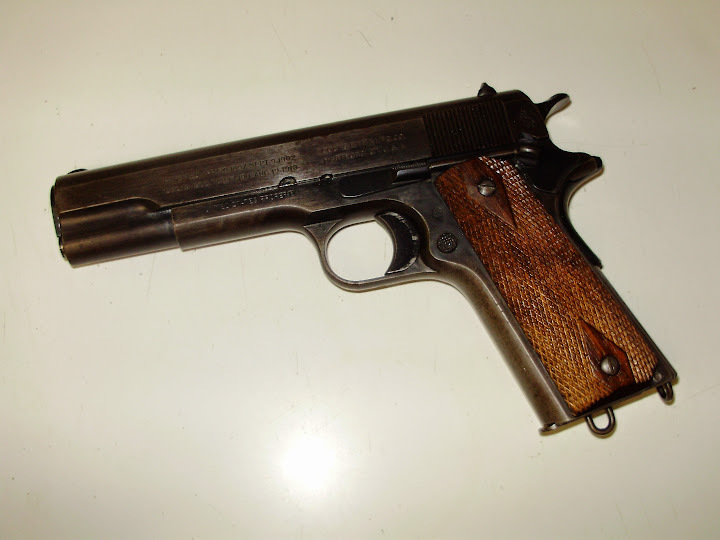 There were 2.7 million M1911 A1s made, but only 108,000 or so making it to CMP, maybe. This is the going rate for some of the more authentic US 1911's existing. CMP has never really gone nuts with their prices, but I'm just curious as to what they would charge.. These weapons of war have no place in the hands of you Civilians. The value of the current ones in peoples hands will diminish with this flood of 1911's. Maybe a little, for a little while. They aren't making any more and the population continues to grow. I'll be in for at least one. I'm an old vet. Wasn't there a law, rule, regulation or something that prohibited CMP from selling handguns? So, if anything............I'm thinking PARTS. Considering that the vast, vast majority of M1911 pistols produced for the US military were manufactured before 1946, I'd assume so. Who cares if they are C & R? CMP sell's their Garands directly to the citizen after doing their form. Has this actually passed both houses and been signed into law? I know he proposed it, there were several threads on it last week. Doubtful I will be able to participate, given California's draconian laws regarding handgun purchases. If I were allowed to and if pricing is somewhat sane, I would buy one for sure. There were 3.5 million M1 Garands made during WW2 at Springfield Armory alone, another ~1/2 million at Winchester during the war, plus 637,000 at Springfield post-war, 337,000 Int'l Harvester post-war, and 428,000 H&R post-war, for a grand total of 5,468,772 M1 rifles in US production (cite). Not all survived the war or returned to the US, but the CMP has sold many, with more flooding the shelves as they are assembled. I just have a feeling this will get scuttled under the banner of "oh noes! stop deadly military assault pistols from getting into the civilian sector! These are military grade handguns!" I'd buy three or four. I was able to se first hand some of the 8,000 pistols sold to LE a few years ago through the surplus program. They ranged from good to excellent with a number of rarer makers in the mix. I'd love to try and get one if they come available, but I will bet they will be priced high. Not necessarily. The govt sandblasted and parkerized everything that launched a bullet between 1938 - 1962. 1911's were "upgraded" to A1's, etc. did you read the article posted in the OP? That might be the only way I purchase a 1911 again, if the price is right. Holy mega derp. Your logic has blown my mind. It actually provides the best possible argument against the rest of your drivel. Literally every single other firearm from that period has become completely obsolete because they are not great. The 1911 is the only firearm out of hundreds from the era still being produced, and that there are entire industries around making them better is simply a testament to how good they are. I'm not a 1911 guy, and don't even own one, but the sheer volume of fail in that post compelled to have to say something. Yes, and it was not a font of information. It implies it's a done deal, but it very short of hard facts. National Defense Authorization Act of 2016 was "reported by committee" April 30, 2015. This is no where near a done deal. That's been my feeling, since I fist heard about this. I hope we end up being wrong, but I will be genuinely shocked, if we are. How much are we talking here...$200-300, yes. $500+, no. Yeah, my interest would be tempered by condition and price, too. I WOULD pay 500+, for an excellent condition example. It will never happen because one of the other post said it wouldn't. CMP sells at or near market price and has for years. They're not fools.